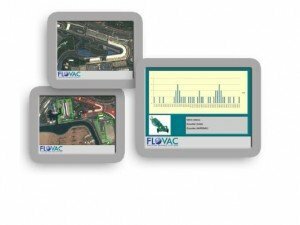 Nearly all vacuum sewerage systems are found in coastal area’s many of which are subject to flooding from rain/storms or rising sea levels. We all understand the problems that occur if I&I is present, we all know what causes it to occur. We have operated a number of systems during major floods without the system going down. 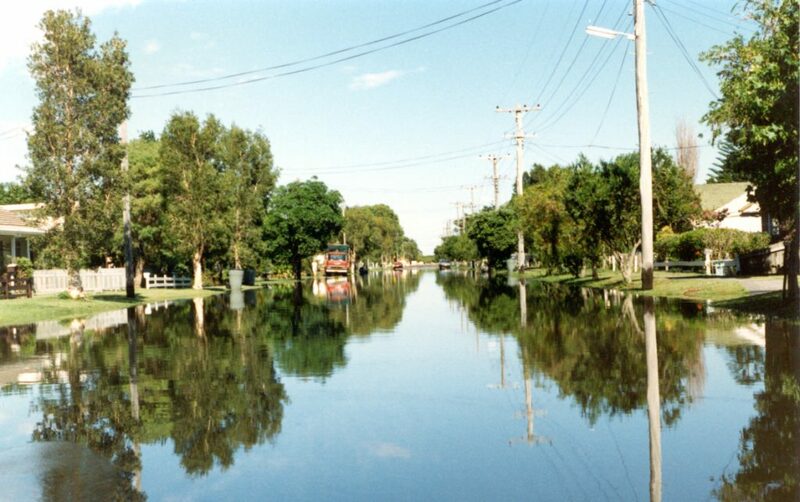 In one Sydney system major floods occurred every two years (see photo above), our operations contract stated that if any homeowner could not continue to use their plumbing they would be put up at a hotel at our cost. Happily we did not spend a cent on hotel costs. the Australian standard it must operate without problem under 18 inches of water. By ensuring all hose clips are properly in place and the controller breather is clear of any water , the system will continue to operate. In area’s where flooding is common we tend to put the controller and controller breather in a pillar besides the pit to ensure that the operator can still fire the valve without trying to access the pit through the flood water which might not always be possible. Water infiltration from the homeowners property. We have found that the main source of stormwater entering a system comes from the homeowners property. In some flood areas we have seen that certain sections of the town will regularly go under water. This usually means that residents have to be evacuated and in the past the water inundation from that area could risk the whole system. In this case we would install a remotely controlled division valve that would cut off that section of the town from the vacuum system. It is controlled from the operations base so that operators are not put at risk trying to isolate the area. that are blow the legislated 100 year old flood levels that people can build at. If we find houses affected in this way, they must pump into the vacuum system rather than drain into it so that the system is not put at risk. Candycanes/Gooseneck house breather vents when placed on properties will often be a source of infiltration, usually due them either being cut down by homeowners who object to them being in the middle of their yard or by gardeners knocking them over with their lawn mowers. At times they are placed too low to the ground, under the flood level. In these cases we would install a Dedicated Pillar or think carefully about where the gooseneck vent is placed. Putting it in the middle of the yard risks it being cut down allowing water to enter the system. Putting it at the roof or garage top or against the house wall will limit water entering the system. As technology has improved, many asset managers have embraced the ability to locate exactly where and when I&I may be occurring. A sensor on a vacuum valve giving the open/close status will also be able to tell the operator the number of activations in a day. It is very easy for the operator to set up an alert to advise if any particular valve is operating more frequently than the general average, especially during wet weather events. Once the operator has established which collection pit is activating more frequently than the other valves in the area, they can then troubleshoot the problem. 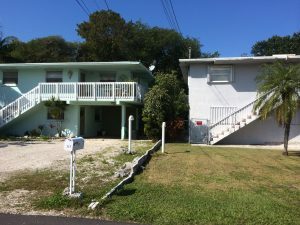 The likely problems are that the homeowner has cut their house vent or inspection point to allow rainwater to enter the system or may have connected up their stormwater system to the sewer system or have a cracked gravity line feeding from the house to the pit. A letter to the homeowner to make the necessary rectifications is required. There may also be groundwater or stormwater entering the collection pit due to incorrect pipework entering the pit allowing for water to enter. This is usually picked up at commissioning, if not should now be rectified. You should also make sure that the pit lid is made for area’s that have flooding and has a seal and no holes to allow water to enter. 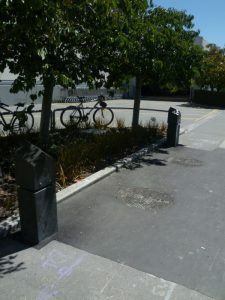 the pit should not be located at a low point in the street. The monitoring system makes it possible to identify these problems and fix them. this is not possible in a gravity system. 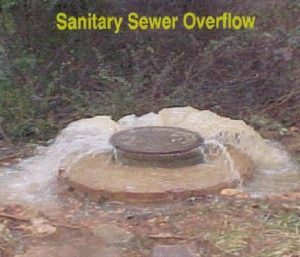 When designing a gravity sewer consideration must be made for Infiltration and Inflow on the pipes, the pump stations and the treatment plant. Stormwater cannot enter the vacuum system via the vacuum pipework as it must remain tight for the vacuum pressure to hold tight. If a break occurs in a main it is immediately noticed and repaired. An allowance is made for I&I but only for a small amount of the network, that being the homeowner gravity lines. So the system is not designed for infiltration and all steps must be taken to ensure that it does not occur. Luckily in a vacuum system the source of any I&I can be located. If you have any leaks into your system, contact an expert for advice.